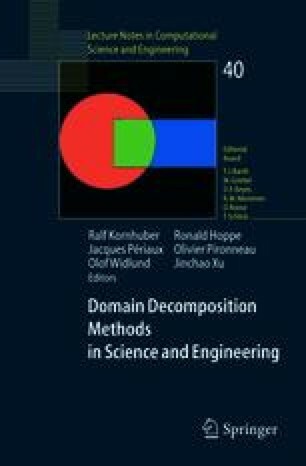 (and Introduction) In this paper, we present a family of domain decomposition based on Aitken like acceleration of the Schwarz method seen as an iterative procedure with linear rate of convergence. This paper is a generalization of the method first introduced in Garbey and Tromeur-Dervout  that was restricted to Cartesian grids. The general idea is to construct an approximation of the eigenvectors of the trace transfer operator associated to dominant eigenvalues and accelerate these components after few Schwarz iterates. We consider here examples with the finite volume approximation on general quadrangle meshes of Faille  and finite element discretization.